The use of Sikh Dharma International and its affiliates’ (“Company” or “we”) website sikhdharma.org (our “Website”) is governed by the policies, terms and conditions set forth on this page. 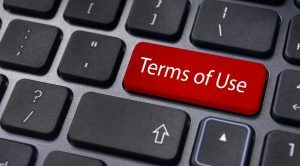 Your use of this Website, placement of order, or subscription to our publications, including but not limited to our email list or blog, indicates your acceptance of these terms and conditions. 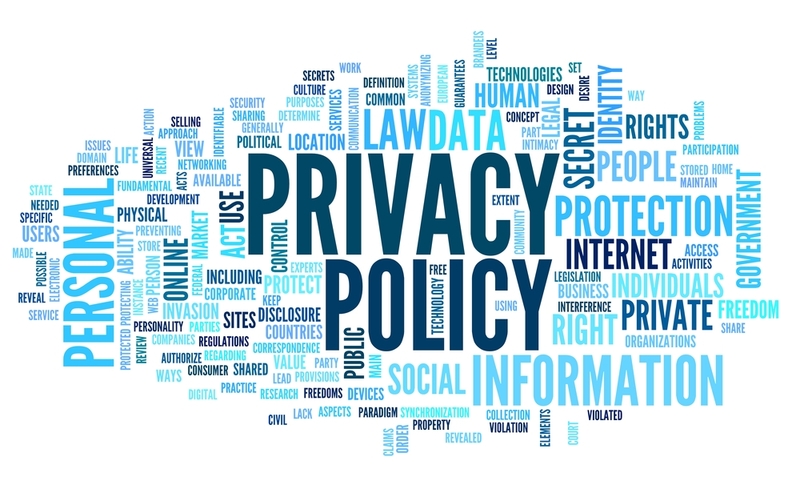 This policy describes the types of information we may collect from you or that you may provide when you visit the website sikhdharma.org (our “Website”) and our practices for collecting, using, maintaining, protecting, and disclosing that information. Our Website is not intended for children under 18 years of age. No one under age 18 may provide any personal information to or on the Website. We do not knowingly collect personal information from children under 18. If you are under 18, do not use or provide any information on this Website or on or through any of its features/register on the Website, make any purchases through the Website, use any of the interactive or public comment features of this Website or provide any information about yourself to us, including your name, address, telephone number, email address, or any screen name or user name you may use. If we learn we have collected or received personal information from a child under 18 without verification of parental consent, we will delete that information. If you believe we might have any information from or about a child under 18, please contact us by sending an email to [email protected]. IP address – to measure our site traffic, diagnose problems with our server and administer over our Website. Referral site – if you come to our site via a link from another website, the location of the referral is noted. This is used to help us know where some of our users come from. Browser type – to help us optimize our site to match the latest technology used by our customers. Number of visits – so we can offer special promotions to regular customers and provide a more personalized shopping experience. Automatically as you navigate through the site. Information collected automatically may include usage details, IP addresses, and information collected through cookies, web beacons, and other tracking technologies (automatic information). Information that you provide by filling in forms on our Website. This includes information provided at the time of subscribing to our blog, joining our email list, posting material including jobs and businesses in the business directory, applying for a job on our job board, purchasing items for sale through the Website, subscribing to newsletters, or requesting further services. We may also ask you for information when you enter a contest or promotion sponsored by us, and when you report a problem with our Website. We gather certain types of information in an effort to improve your shopping experience and to communicate with you about our products, services, and promotions. Third party companies may be used to facilitate fulfillment, shipping, marketing, customer service, payment processing, and other functions necessary to provide the most rewarding experience to our customers. Information shared with these companies is handled securely and with the highest degree of care. To provide you with notices about your subscription(s). We may also use your information to contact you about our own goods and services that may be of interest to you. If you do not want us to contact with such information, please contact us at [email protected] to inform us that you wish to not be contacted about our goods or services. To third parties to market their products or services to you if you have consented to/not opted out of these disclosures. For more information, see Choices About How We Use and Disclose Your Information below. Promotional Offers from the Company. If you do not wish to have your email address or contact information used by the Company to promote our own or third parties’ products or services, you can opt-out by contacting us at [email protected]. If we have sent you a promotional email, you may send us a return email asking to be omitted from future email distributions. This opt out does not apply to information provided to the Company as a result of a product purchase. You may contact us by sending an email to [email protected] to request access to, correct or delete any personal information that you have provided to us. We may not accommodate a request to change information if we believe the change would violate any law or legal requirement or cause the information to be incorrect. California Civil Code Section § 1798.83 permits users of our Website that are California residents to request certain information regarding our disclosure of personal information to third parties for their direct marketing purposes. Moreover, such users can request a notice disclosing the categories of personal information we have shared with third parties, for the third parties’ direct marketing purposes, during the preceding calendar year. To make such a request, please contact us by sending an email to [email protected] or writing to us at P.O. Box 2213, Española, NM 87532. Please allow 30 days for a response. If you are a California resident under 18 years old, you can request that we remove content or information that you have posted to the Website or other online services. Note that fulfillment of the request may not ensure complete or comprehensive removal (e.g., if the content or information has been reposted by another user). To request removal of content or information, please contact us by sending an email to [email protected], visiting www.sikhdharma.org/contact-us, or writing to us at P.O. Box 2213, Española, NM 87532. Your receipt of an electronic order confirmation or other form of confirmation does not signify our acceptance of your order, nor does it constitute confirmation of our offer to sell. We reserve the right at any time after receipt of your order to accept or decline your order for any reason. We reserve the right at any time after receipt of your order, without prior notice to you, to limit the quantity you ordered of any item. We may require additional information for verification purposes. For your convenience, we use the most reliable carriers suitable to your location to deliver your package in the shortest time. Shipping charges are automatically calculated based on your selected method of shipment when placing an order. The method of shipment you choose does not necessarily mean you will receive your order within the specified number of days. Please note that we count from the day we ship and not from the day you place your order. However, we guarantee that we attend to our customers on a first come first serve basis. Please take note that we do not ship on Saturdays, Sundays and Holidays. Orders placed after 10 a.m. PST Friday will ship the following Monday. Tracking numbers are used to identify and trace every package as it moves from our distribution points to the shipping carrier and finally to the package destination. This number can be used to track, locate and verify arrival of the package, as well as other details. You may track your package from the shipping carriers after a tracking number has been generated. If for any reason you are dissatisfied with your purchase, return the unwanted product within 30 days from the original invoice date and we will refund you the cost of the product. Shipping charges are non-refundable. You can initiate a return request by sending an email to [email protected] . You should receive a response from us as soon as we review your request and provide you with the instruction on how and where to return your product. Sales tax collected only on shipments delivered within New Mexico. We are required by law to collect sales tax for orders delivered to New Mexico addresses. In all other states, customers may be responsible for paying sales tax to state, county, or municipal authorities. Total sales tax charged on orders is displayed in shopping cart for review prior to check-out. This Website is offered and available to users who are 18 years of age or older. If you do not meet this age requirement, you must not access or use the Website without adult supervision or with the permission of a parent. You must not access or use for any commercial purposes any part of the Website or any services or materials available through the Website. If you wish to make any use of material on the Website other than that set out in this section, please address your request to [email protected]. The Website may contain message boards, blogs, chat rooms, personal web pages or profiles, forums, bulletin boards, job boards, business directories, and other interactive features (collectively, “Interactive Services”) that allow users to post, submit, publish, display, or transmit to other users or other persons (hereinafter, “post”) content or materials (collectively, “User Contributions”) on or through the Website. Any User Contribution you post to the site will be considered non-confidential and non-proprietary. By providing any User Contribution on the Website, you grant us and our respective licensees, successors, and assigns the right to use, reproduce, modify, perform, display, distribute, and otherwise disclose to third parties any such material for any purpose. You own or control all rights in and to the User Contributions and have the right to grant the license granted above to us and and] our respective licensees, successors, and assigns. The information presented on or through the Website is made available solely for general information purposes. We do not warrant the accuracy, completeness, or usefulness of this information. We do not make representations or warranties of any kind, express or implied, as to the operation of this site or the information, content, materials, or products included on this site. Any reliance you place on such information is strictly at your own risk. This Website is provided by on an “as is” and “as available” basis. We disclaim all liability and responsibility arising from any reliance placed on such materials by you or any other visitor to the Website, or by anyone who may be informed of any of its contents. We shall not be held responsible for damage or loss of any kind due to your use of any product purchased from the Website. Our maximum liability to you is the amount you paid for the product. Products mentioned on the Website are not necessarily endorsed by us. We do not offer our own warranty for the products on our Website. This however in no way affects the terms of the manufacturer warranty, if any. TO THE FULLEST EXTENT PROVIDED BY LAW, IN NO EVENT WILL THE COLLECTIVE LIABILITY OF THE COMPANY AND ITS SUBSIDIARIES AND AFFILIATES, AND THEIR LICENSORS, SERVICE PROVIDERS, EMPLOYEES, AGENTS, OFFICERS, AND DIRECTORS, TO ANY PARTY, REGARDLESS OF THE FORM OF ACTION, WHETHER IN CONTRACT, TORT, OR OTHERWISE, EXCEED THE AMOUNT YOU HAVE PAID TO THE COMPANY FOR THE APPLICABLE CONTENT, PRODUCT, OR SERVICE OUT OF WHICH LIABILITY AROSE. THE FOREGOING DOES NOT AFFECT ANY LIABILITY THAT CANNOT BE EXCLUDED OR LIMITED UNDER APPLICABLE LAW. The information contained in the Website comes from ancient yogic traditions. Nothing on this Website should be construed as medical advice. The benefits attributed to the practice of Kundalini Yoga come from the centuries-old yogic tradition. Results will vary with individuals. Any recipes mentioned herein may contain potent herbs, botanicals and naturally occurring ingredients which have traditionally been used to support the structure and function of the human body. Always check with your personal physician or licensed health care practitioner before making any significant modification in your diet or lifestyle, to ensure that the ingredients or lifestyle changes are appropriate for your personal health condition and consistent with any medication you may be taking. While we work very hard to ensure the accuracy of the product information on our Website, we are not responsible for manufacturer price changes that come to pass without notice, typographical errors or technical inaccuracies. We reserve the right to make adjustments anytime without notice. We shall have the right to refuse or cancel any orders placed for product listed at the incorrect price. Furthermore, we shall have the right to refuse or cancel any such orders whether or not the order has been confirmed and your credit card charged. 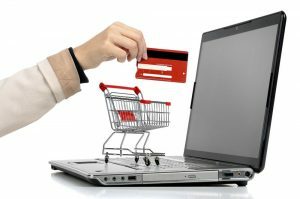 In the event that your credit card has been charged and order cancelled, we will issue a credit to your credit card account. Sikh Dharma International is one of the “Legacy Organizations” of Yogi Bhajan and as such, regularly shares content of the other sister “Legacy Organizations”; most commonly, but not exclusive to KRI, 3HO and Sikhnet. Please review the copyright notice and medical disclaimer for KRI (Kundalini Research Institute) who oversees the Library of Teachings for the Teachings of Yogi Bhajan and is a source for content on the Website. All teachings, yoga sets, techniques, kriyas and meditations courtesy of The Teachings of Yogi Bhajan. Reprinted with permission. Unauthorized duplication is a violation of applicable laws. ALL RIGHTS RESERVED. No part of these Teachings may be reproduced or transmitted in any form by any means, electronic or mechanical, including photocopying and recording, or by any information storage and retrieval system, except as may be expressly permitted in writing by The Teachings of Yogi Bhajan. To request permission, please write to KRI at PO Box 1819, Santa Cruz, NM 87567 or see www.kriteachings.org. The intent of this License is to be a “copyleft” agreement for the kriyas, lectures, and books made available on the Website. This License provides the terms and conditions under which these works may be copied, distributed, or modified. All kriyas, lectures, quotes, media and books made available on the Website. The copyright holder(s) of the Works. The individual licensees are referred to as “you” and “your”. The copyrights to the Works are owned by the Author. All rights to the Works are reserved by the Author, except as specifically described herein. This License describes the terms and conditions under which the Author permits you to copy, distribute, and modify copies of the Works. Subject to the terms set forth herein, this License grants a world-wide, perpetual, royalty free license, to use, copy, distribute, or otherwise present verbatim copies of the Works in any medium for non-commercial educational purposes only; provided, however, that this License, the copyright notices, and the license notice stating that this License applies to the Works are reproduced in all subsequent copies. The rights granted under this License allow only for the verbatim copying of the Works. You may not alter, modify or sample from a copy of the Works, produce derivative works, or otherwise distribute derivative works without the prior written consent of the Author. Notwithstanding the above, the Author encourages proposals for collaborative efforts to develop derivative works and/or new materials incorporating or referencing the Works and asks that all requests to modify or alter the Works released under this License be made by way of the Website. You may make a collection consisting of individual Works released under this License and replace the individual copies of this License in the various individual Works with a single copy of the License that is included in the collection, provided that all restrictions and rules set forth in this License for verbatim copying of each of the individual Works are followed in all other respects. You may also select a single document from such a collection and distribute it individually under this License, provided that you include a copy of this License with the individual document and follow this License in all other respects regarding verbatim copying of the individual document. You may also combine a Work with other Works released under this License provided that all restrictions and rules set forth in this License for verbatim copying of each of the individual Works are followed in all other respects. The combined Work need only contain one copy of this License. You may not combine into an aggregate any of the Works released under this License with other separate and independent documents or works, or use any of the Works released under this License as part of a collection including separate and independent documents or works. You may not impose any further restrictions on the use, copying, distribution or modification of the Works beyond those restrictions described in this License. 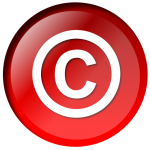 Using, copying, distributing, or otherwise presenting the Works released under this License indicates acceptance of the terms of this License. If you do not follow the terms of this License, any rights granted to you by the License are null and void. The use, copying, or distribution of the Works outside of the terms described herein is expressly prohibited by law. You may not copy, distribute, or otherwise present the Works except as expressly provided under this License. Any attempt to use, copy, distribute, or modify the Works contrary to the terms of this License is void and will automatically terminate your rights under this License. The works are provided “as is” and come with no warranties, express or implied, to the extent permitted by applicable law, including but not limited to implied warranties of merchantability or fitness for a particular purpose. The author shall not be liable for any direct, consequential, incidental, indirect, special, or punitive damages whatsoever arising out of or relating to the works or this license, even if advised of the possibility of such damage. 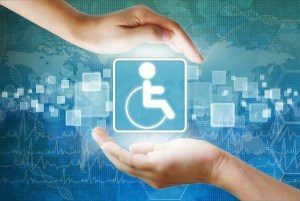 We are committed to providing an accessible website for persons with disabilities, including those who require assistive technologies, so that they have full and equal access to all the services, product information and other content available through the Website. We will review, assess and work with advocacy groups and vendors to ensure inclusion, integration and equal treatment of, as well as effective communication with, persons with disabilities using assistive technologies shopping on our Website. We are always looking for ways to improve Website accessibility, and if there are any barriers we are not aware of that is preventing a person with disability from using the Website, we would like to know. Please contact us and provide your recommendations at [email protected] and we will take the necessary steps to fix or enhance and improve the accessibility of our Website so that persons with disabilities will be able to enjoy shopping on the Website.